This blog addresses claims and arguments of "Revisionist" coryphée Carlo Mattogno regarding the mass graves at Chełmno extermination camp and archaeological research on those graves. When, in the course of the inquiry carried out, the graves were reopened in which the ashes and crushed bones had been deposed, there were found ashes, hair, pieces of chlorine, evidently thrown in for the purpose of disinfection, bones and bone fragments, small objects such as combs, buttons, purses etc. (paper protocol of survey, p. 530). It must furthermore be pointed out that because of the soil’s fertilization by human ashes the vegetation in this area is much richer and its color is much greener. The first grave: It has an irregular shape; the width of the northern part can be established at 8 m and narrows by 3 meters towards the south. Its length equals 62 m. Under the humus there is an ash layer, on top of which were found unburned objects belonging to the victims. While uncovering the grave it was noticed that the earth must have contained some active substances, for protective rubber gloves became destroyed. The presence of such substances was thought to be linked to experiments of destroying the corpses in the graves with quicklime, which however were discontinued as the method turned out to be ineffective. The second grave: The grave was found to have irregular width, ranging from about 7 m in the southeastern part, through about 10 m in the middle part, to only 4 m in the northeastern edge. While the new layout was being uncovered, the existence of burned-out objects and ashes as well as crushed human bones both burned and unburned was detected. A further part of the grave contains burned-out objects mixed with inclusions of ash and bone meal as well as lumps of burn waste and coke. The total length of the grave equals 254 m. The depth established on the basis of drills equals 3 m. The northern segment of the grave was assumed to be probably linked to different attempts to remove the corpses, burn them inside the graves or in primitive furnaces-hearths as well as to the process of crushing bones. In the other segment, bones ground into bone meal were found. During one of the traverse probing surveys a fragment of a smoked concrete pipe was found, suggesting that in some part of the grave corpses were burned. The third grave: Its total length equals 174 m, width about 8 m. The contents of the grave include sandy soil with gravel, burn waste, ash, and crushed human bones. The fourth grave: Its actual width equals 10 m, while its length is 182 m. It is filled with gray sandy soil mixed with inclusions of burn waste, ash and crushed bones. The fifth grave: It is not one single grave but rather a line of pits filled with ashes. The total length of these 11 pits, located 2-3 m from one another, equals 161 m. The dimensions of the pits vary from 9x7.5 m to 15.50x8.50 m. They are filled with gray soil with a significant mixture of burn waste and crushed human bones. In the southern (SE) part of the grave the bones found in the pits used to be ground; those in further parts crushed. The archaeologist refers to judge Bednarz, according to whom the depth of the pits was about 4 m and their width 8-10 m. Even now the flora on the pits is more luxuriant, making this stretch more visible on the surface. Large amounts of ashes as well as ground or crushed human bones were partly thrown into the emptied graves, partly into the 11 trenches dug up in one row, parallel to the mass graves in the clearing. What amount was scattered over forests, what part was sent to Poznań to Fort VII, how much was sent to German settlers as a fertilizer - this we shall never find out. In the second phase of the center operation the ash problem was solved 'simpler' - the ashes were just thrown into the Ner River. Even with the concentration of 8 bodies per cubic meter that Mattogno wrongly claimed to be a maximum, these mass graves could thus hold over 129,000 corpses. Mattogno claims or insinuates that archaeological investigations whereby the mass graves were identified were inadequate or their results were manipulated. In the course of the research, the archeologists have partly located a grave situated in section II, parallel to the forest track, which until that time had been known only from the German district forester H. May's account. Apart from the aerial photo, very helpful in locating the grave were the accounts of people employed at tidying works between 1962-64. According to H. May, the grave was about 50 m long. During the research two of its points were discovered, but its dimensions remained unknown. Ignoring the above, Mattogno pointlessly complains that the grave was identified on the basis of only 5 probes (sondaggi), of which one is outside the area of the grave and the other four are far away from each other (14 meters between the ones closest to each other, 48 meters between the first and the last, according to Mattogno) . This is supposed to be "neither scientific nor serious" ("né scientífico ne sério"), though Mattogno doesn’t reveal according to what criteria, other than his own, he reached this damning verdict. Moreover, Mattogno points out, the established width of the grave, 20 meters, is in contradiction with the testimonies of eyewitnesses "Szlamek" and Podchlebnik, who respectively mentioned a width of 5 meters and 6-7 meters. Eyewitnesses are not necessarily reliable as concerns measurements because they can only estimate them and not every eyewitness is good at estimating distances, but in this case the research done in 2003/2004 shows that the eyewitnesses were on the right side whereas the 1986/87 survey overestimated the grave’s width, assuming the estimate is correctly rendered by Mattogno (based on his reading of a map drawn by Zdzişław Lorek in 1989 and last updated in 1996, a copy of which is in the appendix of Mattogno’s book as Document 12). According to the later survey, the grave has an irregular shape, narrowing from 8 meters at its widest down to 3 meters, and is 62 meters long. Mattogno mentions these measurements but does not mention that the later survey corrected the earlier survey’s results and showed the eyewitnesses’ estimates to be fairly accurate. Mattogno’s main contention against the 2003/2004 investigation is that it essentially confirmed the three pits in this area shown on Lorek’s 1989/1996 map that had been "arbitrarily established before" ("fissate abritrariamente in precedenza"), and that it "could not have been otherwise" ("e non poteva essere altrimenti"). In other words, he is accusing the archaeologists who carried out the 2003/2004 investigation of having manipulated their findings to vindicate a predetermined result, moreover one that – as he points out later – had not even been based on archaeological investigation. Mattogno’s only argument in support of this conspiracy theory is that the number of graves didn’t change from Lorek’s map to the results of the 2003/2004 investigation, and even that is not an accurate assertion because what Pawlicka-Nowak calls the "fifth grave" is not one grave but a line of eleven pits obviously used for disposal of cremation remains (see above). Mattogno fails to mention that the basic aim of this archaeological investigation, as concerns the cemetery in the Rzuchów Forest, was "to verify whether the boundaries of mass graves marked with stone walls between 1962-1964 were correct" (Pawlicka-Nowak), and furthermore omits the fact that the investigations led to major corrections in regard to these boundaries. These corrections are mentioned in Pawlicka-Nowak’s description of the mass graves summarized above and visualized in the image below (click to enlarge), which is based on the Konin museum's aforementioned map with the colored lines drawn by me – green around the mass graves as drawn on Lorek’s 1989/1996 map, red around what is considered to be the actual area and shape of the graves according to the results of the 2003/2004 archaeological survey. d) the 11 pits to the left of the "fourth grave", also called the "fifth grave" in Pawlicka-Nowak’s text, correspond to no grave shape drawn on Lorek’s earlier map . In accusing archaeologists of dishonestly trying to vindicate a pre-determined result, Mattogno has thus (once again) revealed his own dishonesty. 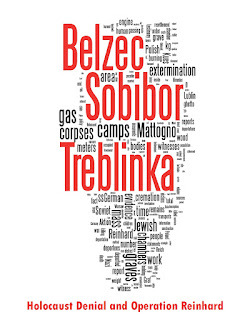 "Extermination Camp Chelmno (Kulmhof)", in: Central Commission for Investigation of German Crimes in Poland, GERMAN CRIMES IN POLAND (Warsaw, 1946, 1947). The report mentions that "Until the spring of 1942 the remains were buried in large common graves, one of which measured 27O x 9 x 6 metres". However, it does not become clear from the report whether the measurements of the mass grave mentioned were established by excavation or estimated by or on the basis of eyewitness testimonies. Carlo Mattogno, Il Campo di Chełmno tra storia e propaganda, 2009 by effepi, Genova (hereinafter "Mattogno, Chełmno"), p.121. Łucja Pawlicka-Nowak, Archaeological Research, translated from Polish by Arkadiusz Kamiński, available on the website of the Museum of the former Extermination Camp in Chełmno-on-Ner (hereinafter "Pawlicka-Nowak, Chełmno Museum"). As above: "The cemetery grounds were divided into plots; the terminology was adapted from the terminology of forest land maps." Schmuel Krakowski mentions four graves with a depth of 3 meters in the Chełmno Waldlager (Krakowski, Das Todeslager Chełmno/Kulmhof. Der Beginn der »Endlösung«, 2007 Wallstein Verlag LG Bonn Chełmno, p. 34.) The lengths he gives are significantly lower than those established by archaeological research, suggesting that his account is based on the testimonies of eyewitnesses who understated the graves' dimensions or saw the graves prior to a later enlargement. Such correction was assumed as concerns these graves in an earlier blog, on the basis of calculations for a grave 10 meters deep. 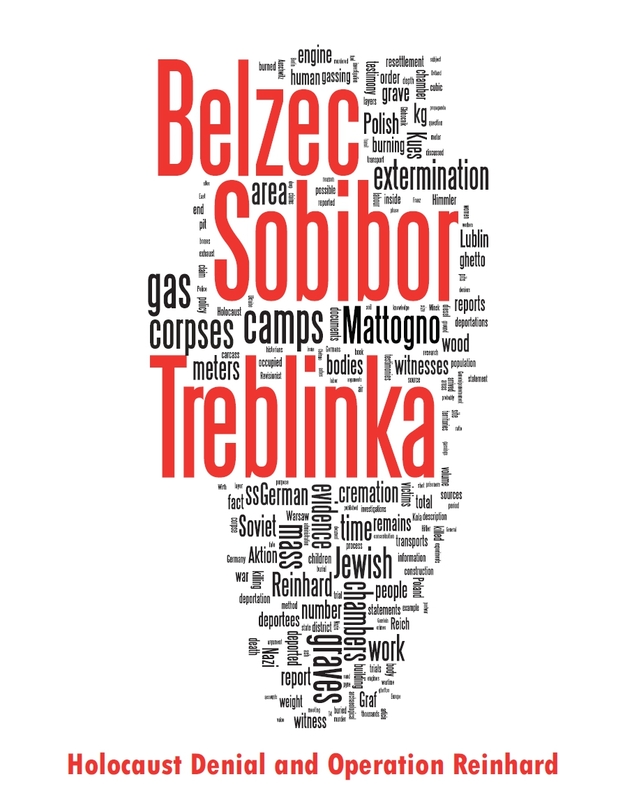 See the discussion in the blog Belzec Mass Graves and Archaeology: My Response to Carlo Mattogno (4,1). Mattogno, Chełmno, pp. 125, 130. Mattogno, Chełmno p. 127, author’s translation from Italian: "The map that illustrates the new finds is not clear; it actually seems, for example, that for the first pit (174 m) only 4 probing surveys were made (numbered from VI to IX) very distant from one another, maybe another 2, not numbered, in the final part below. For the second pit the signs that could indicate surveys are 7". A closer look at the map shows that all signs indicating probing surveys or drills can be linked to a number. Mattogno, as above, p. 130. Pawlicka-Nowak, as above, expressly points out that "The last grave, or rather a line of pits filled with ashes, was not commemorated with any walls; in the 1960s it was already not discernible on the surface."